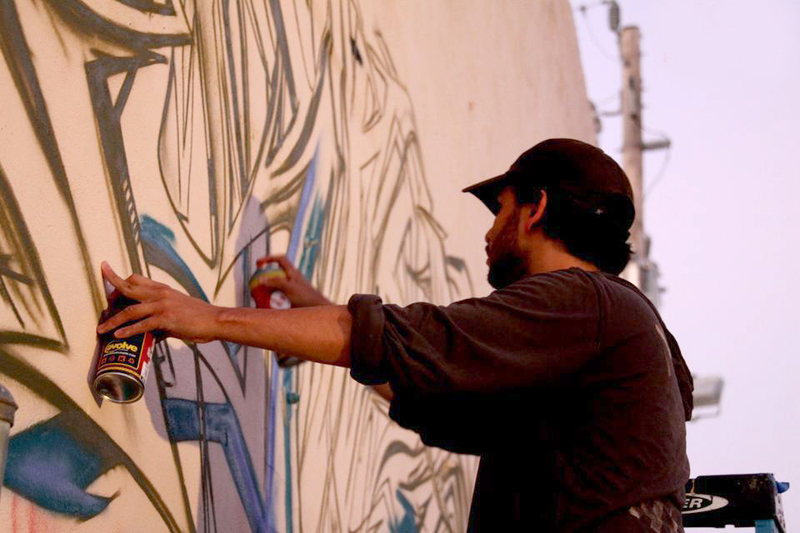 Born out of the 90's school of Aerosol Art, Cortes has evolved into a versatile street artist. He has shared his brand of spraycan art with artists all around the world. Color, line, texture and symbolism all come to play on Canvas work by Cortes. 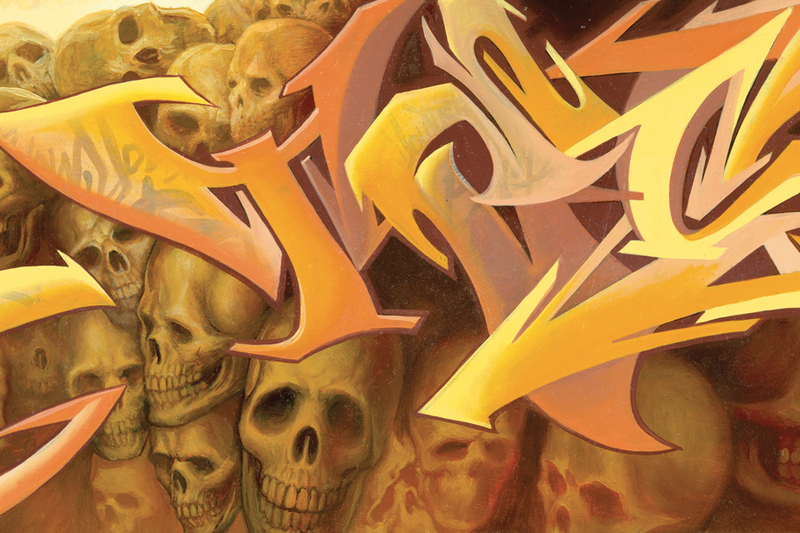 His graffiti inspired compositions blend urban typography and illustrative techniques to create memorable pieces of art. All great works of art start as ideas in an artist's journal. 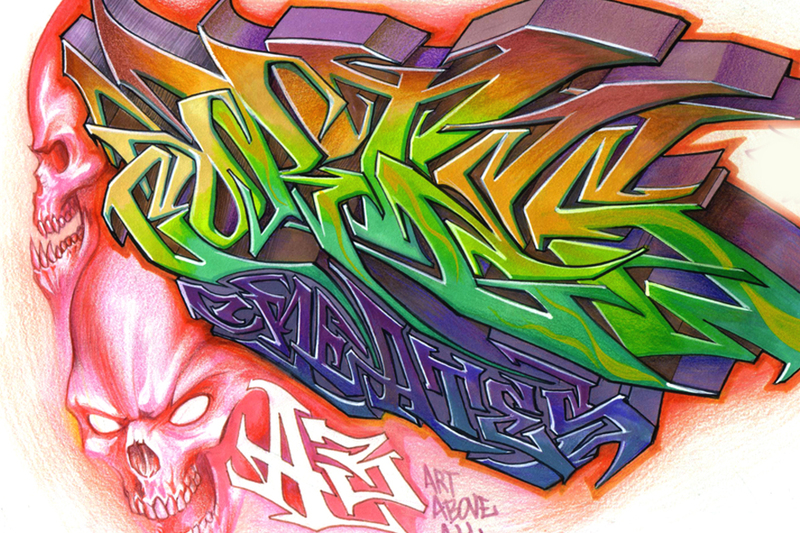 Cortes has elevated the craft of Blackbook sketching to it's own provocative form of art. 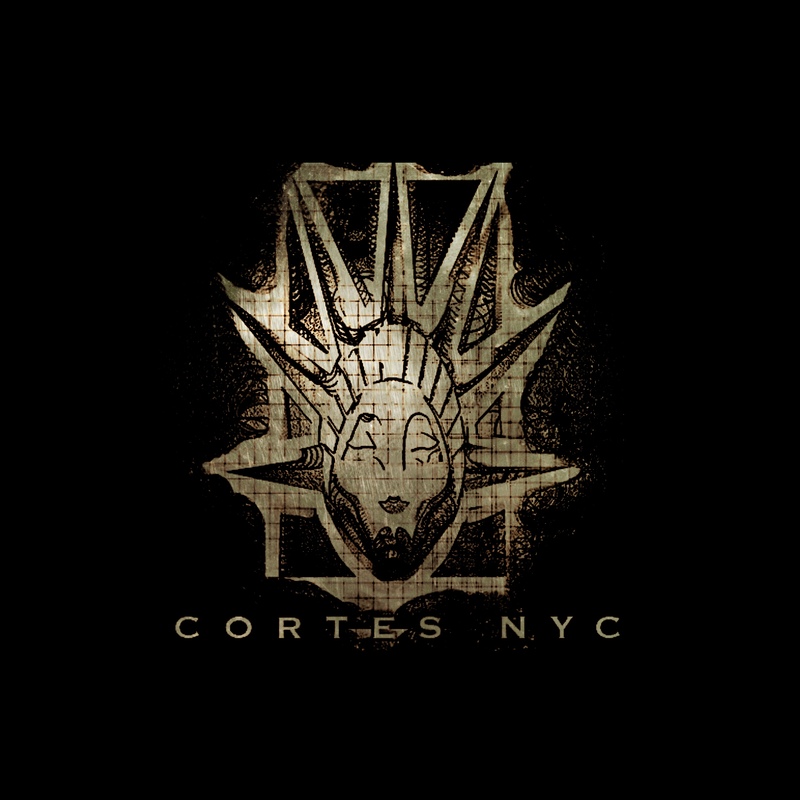 Cortes' mantra since 1992 explains his life long commitment to nurturing his art. He placed his own art above all, even if it meant making personal sacrifices. His story is about Finding a balance between passion for Graffiti Art and the need to forge a career that would provide for his family. Cortes' work speaks for itself. His compositions are challenging and timeless. For over two decades, Cortes' work has inspired imitation and admiration. Even his earliest pieces continue to speak to new generations of artists. To read more about Cortes' artistic journey, continue to his career highlight section.